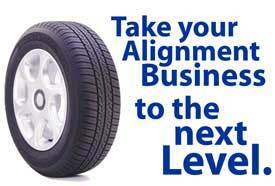 is a Great Way to keep your Wheel Alignment Specs current while saving a pile of money in the process by avoiding those costly aligner updates. The online based eSPECS is often more complete! You get coverage for Passenger Cars, Light Trucks, and SUVs starting in 1960 through current 2019 models. We're continuously updating eSpecs with new models as they are introduced. eSPECS is also more current. Once you buy a conventional spec update from your aligner manufacturer, it becomes "out of date" every time a vehicle manufacturer changes specs on a model. Spec changes are a common occurence these days, but your aligner will have the old "incorrect" specs until you spend the money again to update it. It's quick and easy to use eSPECS: Find the vehicle, print the formatted "specs only" printout, and enter the specs into your aligner. Some aligners even allow you to save the specs. And finally, eSPECS is far less expensive. You can potentially save hundreds of $$$. For example, try doing conventional aligner updates only every 3rd or 4th year, while keeping your alignment data current with an eSPECS subscription. A one year subscription to eSPECS is still only $49.97 for 24/7 access. Compare that to the cost of updating your aligner every year! Be sure to click on the Try a FREE Demo! button on the left to see how eSpecs works if you're not already familiar. NOTE: We are currently offering special pricing on "TPMS Handbook" to NEW and RENEWAL eSpecs subscribers. Click HERE for details on this incredible offer! Specifications are available for the following 2019 models. Specifications are available for the following 2018 models. as well as most other models back to 1960. © 2002-2019 Naas Publishing Company. All Rights Reserved.